Welcome to the Joyful Stars Blog hop for October. 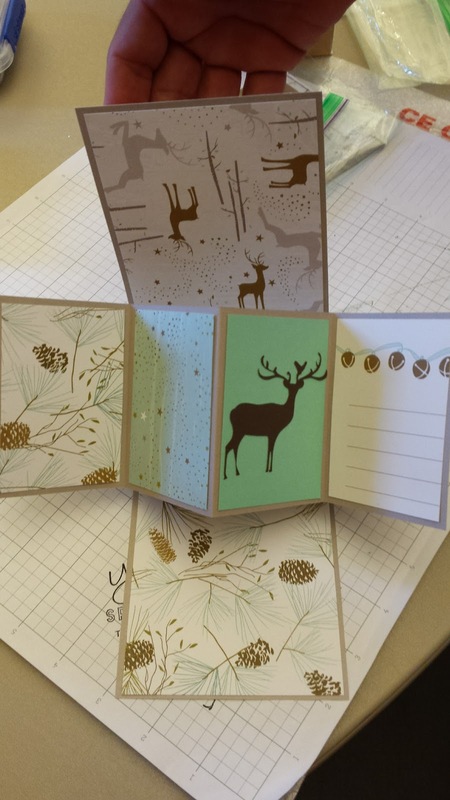 You can hop from blog to blog and see all the amazing things we have been creating. 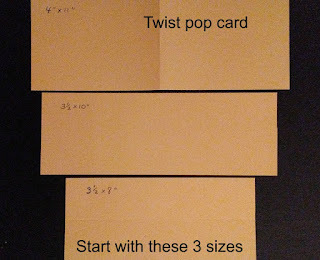 Just look for the highlighted name at the end of each blog and click on it, keep going until you get back to this post. 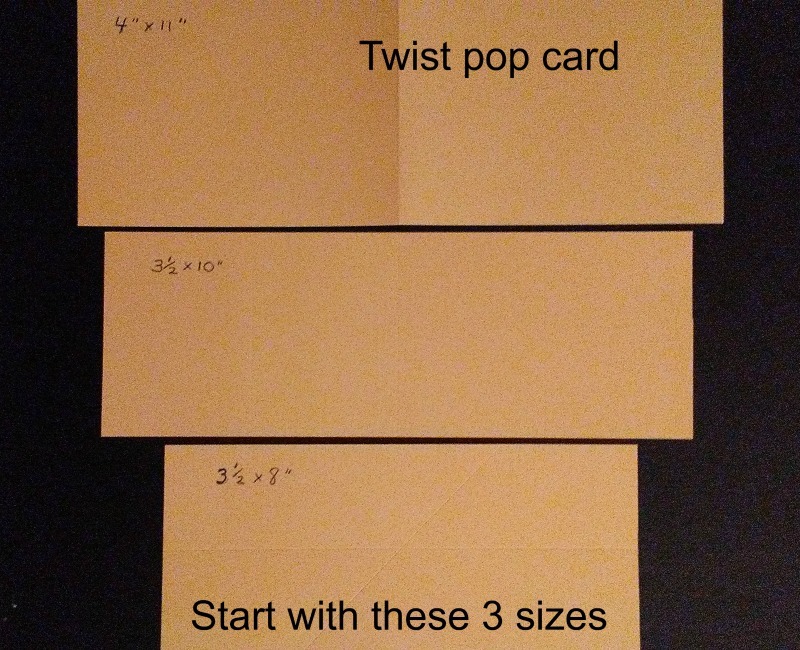 I would like to share with you what I call a wow card, that is easier to make then you think. 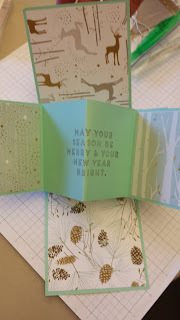 If you have design space for your cricut you can get all the cuts for this card at just the push of a button. 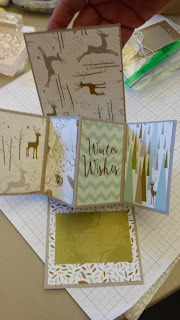 The paper I used is from the Oh Dear paper pack X7214B which come with 2 12x12 sheets of 4x6 and 2x3 pre-printed cards that can be used to help decorate these cards. 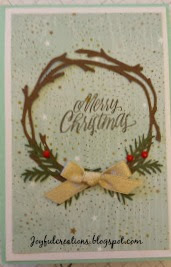 The wreath is cut from our new Flower Market Cricut cartridge. 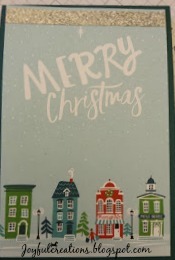 The Cricut Design Space code for this card is https://us.cricut.com/design/#/canvas/45203012 If you don't have that or use that, here are the measurements for this great wow card. 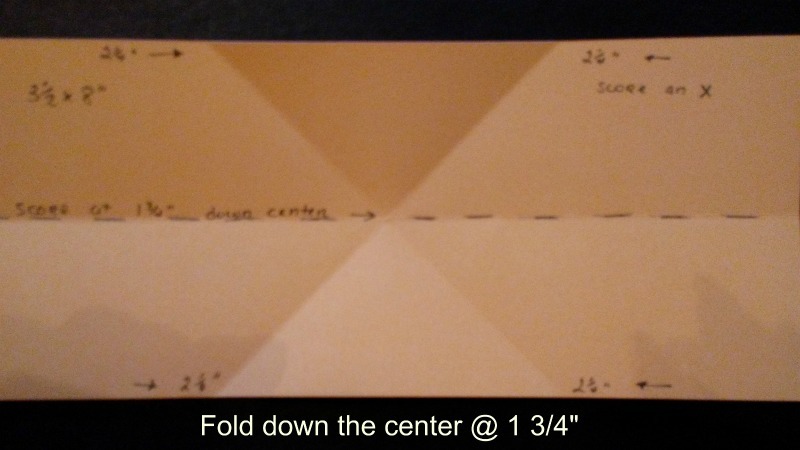 4"x11" 3 1/2"x10" 3 1/2" x8"
Fold the center piece in half and fold the outside to center. 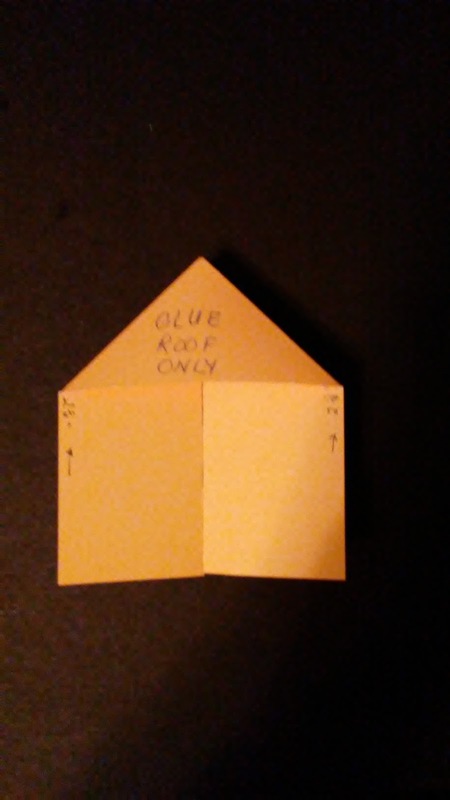 The above piece will look like this, a house with a roof. Put glue on the roof on one side and put the point of the roof at the center fold, center the house. 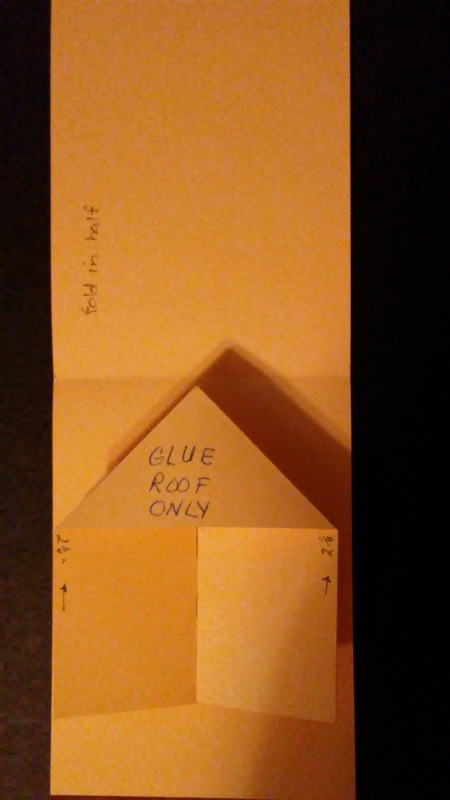 Put glue on the other side of the roof and close the card. 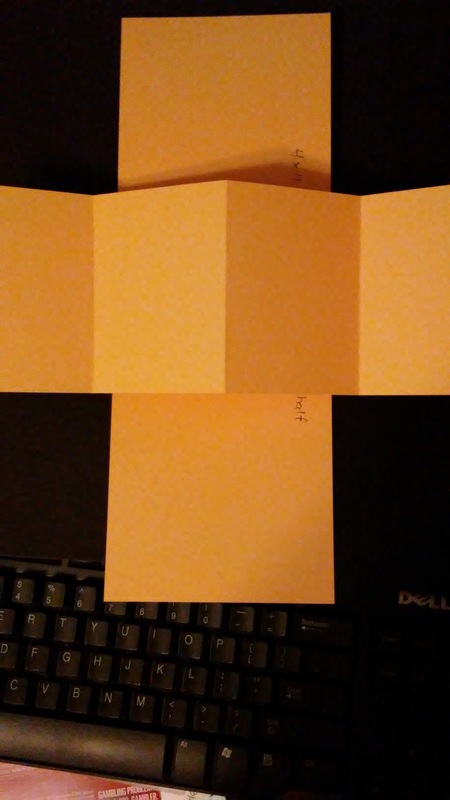 When you open the card, it will look like this. 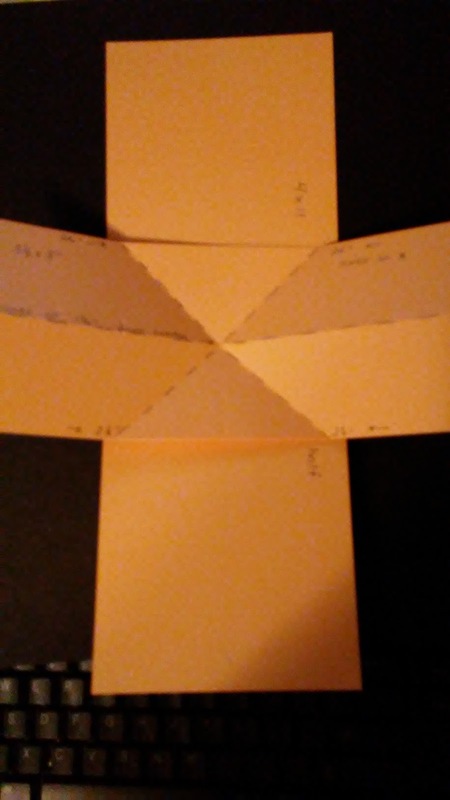 Now take the second piece that is folded into four equal sections. 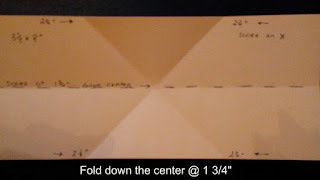 Have the mountain fold in the center and lay it flat on top of the X. 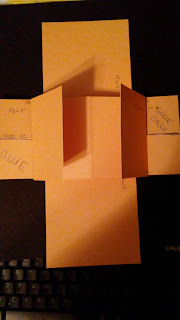 Fold the flaps back and glue at the bottom left and the top right, press the flaps onto the glue. This will give you what you see on the colored picture above . Now hop over to my dear friend Nancy's blog and see what she has been creating. Thanks to CTMH I was able to make this album for soon to be born Grand Niece, Anna Marie. Close to My Heart provided me with paper and compliments to make this wonderful album. The album is designed for a page a month. 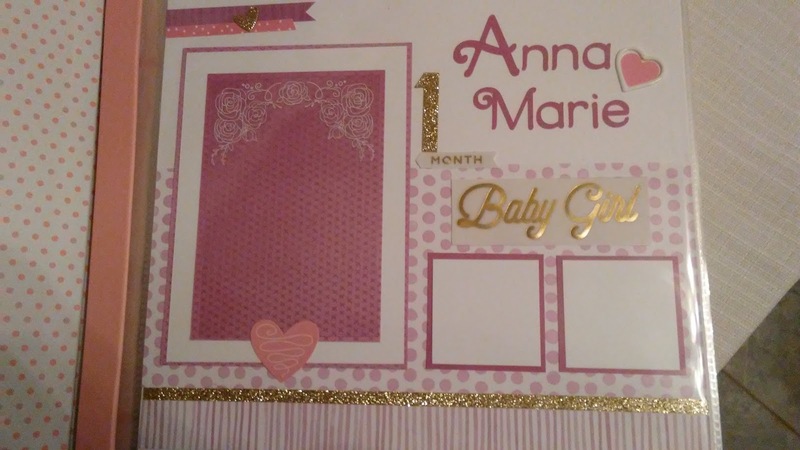 You get glittered numbers, velum months, baby girl and all kinds of stickers to embellish the pages. There is also a set for boys. 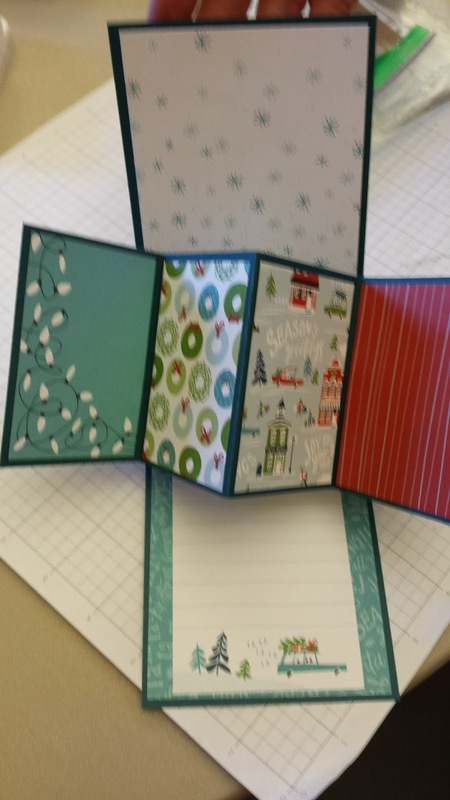 See me or call me to make one for your someone special in your life.